August 23rd in Theme Lists, WordPress Themes by Wordpress Jedi . 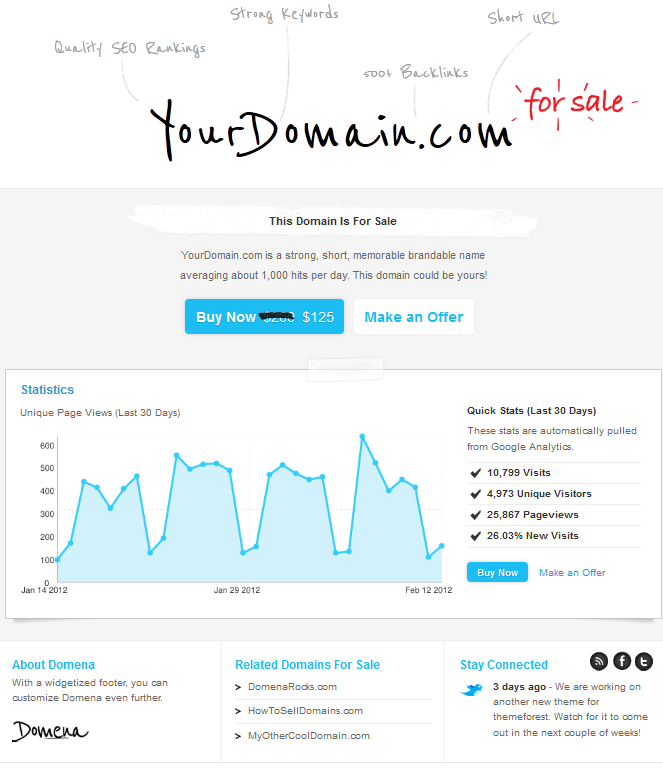 Domena: a beautiful template for selling domains. It is easy to customize and has 10+ shortcodes, 5+ color schemes, and 3 widget areas. 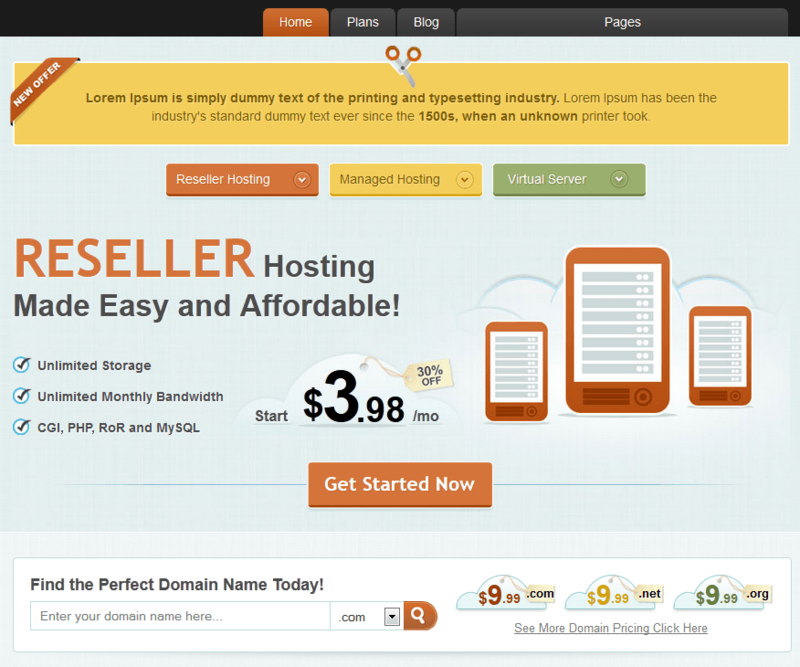 LiveWeb Web Hosting Template: a theme for web hosting businesses. It has various elements you will need to promote your business. The domain checking form lets your visitors figure out whether the domain names they want are available. 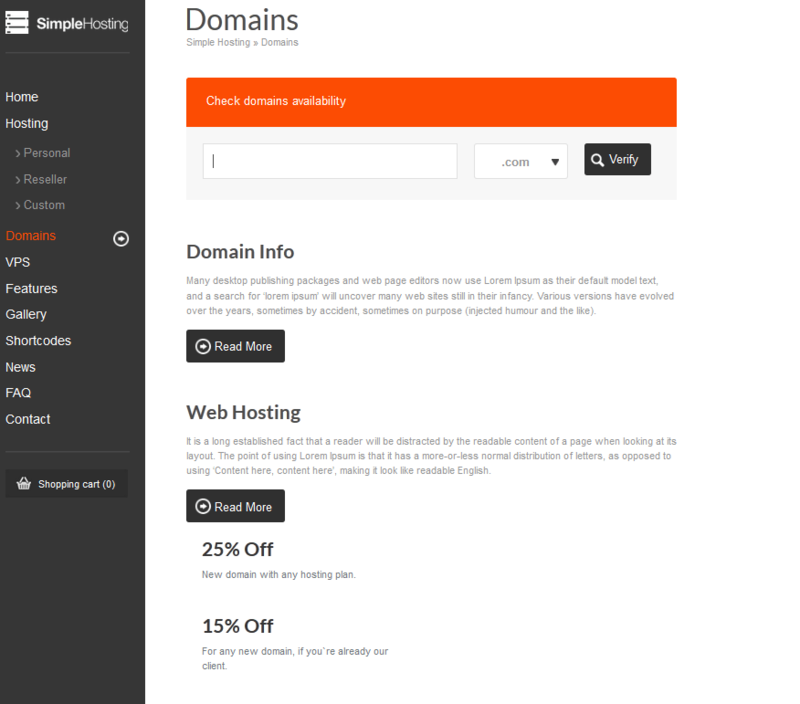 Simple Hosting: a good looking theme designed for web hosts, hosting resellers, and domain registration businesses. It comes bundled with the Revolution Slider. The theme has 10 page templates. Customizing your hosting plans is easy too. Have you found better themes for domainers? Please share them here.